Home / news / politics / Why Is Buhari Still Working From Home After Rat Allegedly Invaded His Office 2 Months After? Why Is Buhari Still Working From Home After Rat Allegedly Invaded His Office 2 Months After? We knew it was propaganda then and it is more glaring that it is a propaganda now. The question is, what are they hiding? Two months after he returned from his medical sojourn in London, United Kingdom (UK) for an undisclosed ailment, President Muhammadu Buhari still operates from his official residence located in the Presidential Villa, Abuja. 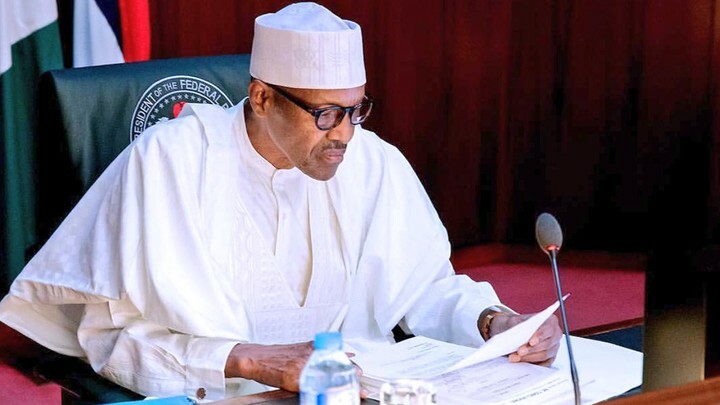 The president had, two days after returning from the medical vacation which spanned 103 days, written to the National Assembly, in line with constitutional provisions, intimating the parliament of his return to the country and resumption of office in the Presidential Villa, Abuja. But barely settling down to take charge of activities of state, news broke that the president would temporarily operate from his official residence located in the villa due to the renovation of his main office. A presidency source had told The Guardian that construction giant, Julius Berger, had already begun the renovation. Also confirming the development, Personal Assistant to the President on New Media, Bashir Ahmad, explained through his twitter handle@BashirAhmaad why Buhari was working from home. “Some renovations are ongoing at the office. He’ll be back to the main office after the work,” he twitted. It was learnt that the renovation was a result of the damage rodents had caused after they invaded Buhari’s office. A foreign news agency quoted the Senior Special Assistant on Media and Publicity, Garba Shehu, as saying that while President Buhari was away on the medical follow-up, rats had a field day with the furniture, cables and air-conditioning units in his office. “He has been using the residential office. What is important is that the job gets done. Whether he does it from his bedroom or his sitting room or his anteroom, it does not matter. Let the job be done. And the job will be done,” he said. However, two months after, the president still shuttles between the office in his official residence and the new banquet hall located beside the main office, where he occasionally receives visitors. How long the renovation would last has not been disclosed by the presidency. “Good evening sir. In August, we were told the president would be operating from his official residence due to renovation being done in his office by Julius Berger. The Guardian would appreciate a confirmation of when the president will start to work from his main office. Thank you sir. Regards,” The Guardian wrote in the text message. The question is, did rat really invaded president's office or is their a cover up going on?